Ironing is a task that you either love or hate, for me it is something I used to do. I don’t iron, I am a perfectionist and if it wasn’t perfect I would stand there ironing the same item until it was perfect. Until I got pain and discomfort in my wrist, it only ever happened when I ironed and this would make me put off the ironing until the pile was endless, until one day I just said I am not ironing any more. 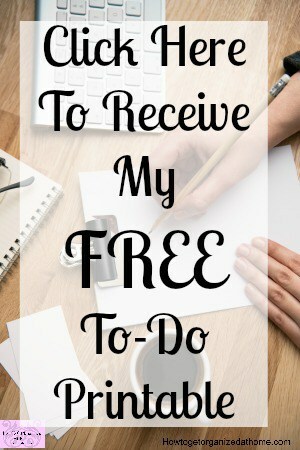 It did help with my situation that I work from home, my family didn’t need anything pressed, and to be honest if they did they do know where the iron lives and are more than capable of doing the task themselves. This doesn’t mean I am against people pressing their clothes, I think it is a personal choice and if it was one I had to continue, I think I would have sought medical advice for the pain in the wrist that ironing caused. This will depend on the individual; do you iron daily or do you do a marathon task once or twice a week. When my children where younger and I was at home with them I ironed daily if the need was there, but when they started to grow and I found employment it did become a task that I hated and this meant with time restrictions it fell to once or twice a week. At the worst there was so much ironing I just never seemed to get to the bottom of the pile. Then if the ironing didn’t get put away and ended up on the bedroom floor of one of my children, I would get disheartened because I felt they didn’t appreciate the time that I had spent getting their clothes washed, dried and ironed. It is important that if you fold clothes correctly there is less need to iron. There are ways to correctly fold different items that reduces the wrinkles and the need to iron. The timing that you choose has to fit with your schedule, it is important that you are careful with the ironing board as well. I remember a friends little boy who had pulled himself up and grabbed hold of the metal of the ironing board whilst she was using the iron and he had scolded his hand. 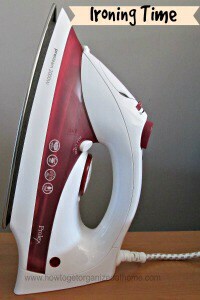 This did influence me never to iron when my children where little and playing in the room, I always ironed when they were either asleep or occupied elsewhere. It is important that you keep your iron clean because there is nothing worse than ironing an important item that you need than to have the iron spit out a load of lime-scale dirt onto your clothes. Read the manufactures guidelines about how to properly look after your iron to avoid it becoming clogged with lime scale. It is also important to note what water the iron requires, some manufactures recommend tap water while others recommend using distilled water. Therefore, if it worries you whether it is fine not to iron clothes, then you need to assess the clothes and work out what to iron, then fit this into your schedule. You shouldn’t feel pressured into ironing if you don’t have to, the choice is yours.